Donna Green | BEAL, GREEN, NATIONS & CRUTCHER | Donna L. Green, Esq. Through her extensive work in family law, Donna Green has achieved a very thorough understanding of this intricate practice area. Her knowledge is accompanied by a unique ability to navigate the process of divorce both in and out of the courtroom. Donna Green’s extensive family law experience is accompanied by her unique ability to navigate the process of divorce both in and out of the courtroom. For over 20 years, Donna Green has guided Brentwood and Franklin residents through the complexities of the divorce process. She focuses solely on family law matters such as divorce, child custody, child support, adoptions, and post-divorce modifications, as well as mediations and appeals. Whenever possible, Donna prefers to help her clients reach an agreement in their case, rather than bring the case to trial for a judge to decide. Typically, a settlement agreement is faster, less expensive, less stressful on the parties and their children, more certain, and tends to provide terms that are tailored to her client’s priorities. However, for a variety of reasons, some cases cannot be settled by agreement and a trial is needed. When that occurs, Donna passionately advocates for her clients in court, and uses her knowledge of the law and procedures to achieve the best outcome for her clients. The work ethic that sets Donna Green apart as a family lawyer was evident long before she opened her law firm. She attended Cornell University as an undergraduate in Communication and Mechanical/Aerospace Engineering. She graduated from Vanderbilt University School of Law in 1998. In 2016, Donna was named one of the 10 Best Female Family Law Attorneys in Tennessee by the American Institute of Family Law Attorneys. In 2014, this respected family lawyer was recognized by the Nashville Business Journal, where she received a Best of the Bar nomination. Additionally, her editorial legal analysis has been published in The Tennessean. 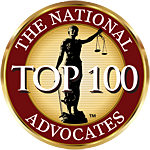 In 2017, the National Advocates honored Donna with an award for being one of the Top 100 Divorce Lawyers in Tennessee. Determined to remain up to date with all that is happening in the practice area of family law, Donna Green maintains membership with several associations. She served for five years as the Administrator of the Tennessee John Marshall American Inn of Court. She has also been a member of the Williamson County Bar Association and the Tennessee Bar Association. Donna believes that divorce cases and other matters involving family law require a great deal of personal attention. Her overarching goal is to help clients through the difficult divorce process in a proactive, strategic manner. She aims to secure the favorable divorce terms that her clients desire, while providing realistic feedback about what outcomes are likely. Knowing when to settle a case and when to bring it to trial is a skill that comes with Donna Green’s decades of experience.